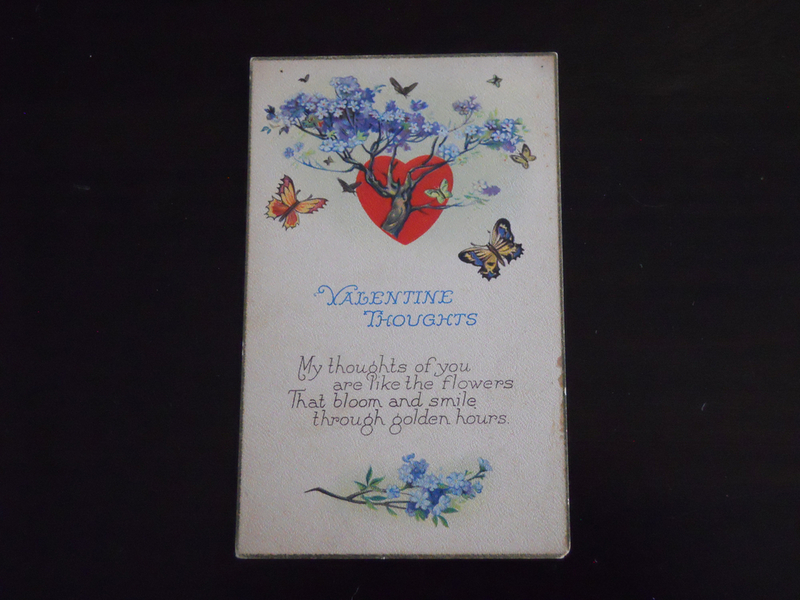 I love this vintage Valentine post card with a flowering tree surrounded by butterflies. The flowers are blue, reminiscent of forget-me-nots, although in my garden they only grow as low bushy plants. These post cards were printed in USA probably around the 1920s. Printed version of a tweet!